Baby Boy Shower Ideas | Unique Baby Boy Shower Decorations, Favors And More! Looking for Baby Boy Shower Ideas and Themes? If so, we have Unique Baby Boy Shower Invitations, Baby Boy Shower Favors and awesome baby shower theme ideas that are "All Boy" for your upcoming shower. Whether it's snips and snails and puppy dogs tails ... or little boy blue. Or, maybe it's a Dad Shower using Dad-To-Be's favorite sports team or race car driver theme! Little Boy Blue come blow your horn ... It's all baby blue. Sweet blue confections with dashes of white creamy frosting. Decorate in soft baby blue for "It's a Boy!" baby shower theme. A morning Brunch of blueberry confections and blueberry muffins with tea and coffee would be perfect. Visit our Baby Shower Food Ideas page for more scrumptious baby shower food & recipes, plus great planning tips. Baby Boy Shower Idea courtesy of Amy Atlas Events. 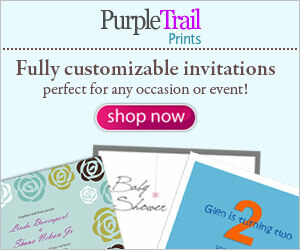 Visit her website for more elegant & whimsical themes to incorporate into your baby shower. Give your guests an added sweet treat to take home wrapped in cellophane and tied with a decorative ribbon. These are also beautiful to place around your baby shower cake and serve as a side dessert. It doesn't get any sweeter for the sweet tooth crowd. For more favor ideas ... check out our Baby Boy Shower Favors. Is Dad-To-Be involved with the baby shower plans? Or, maybe He's throwing the shower. Yes, the times, they are a changin' ... more and more Dads are getting involved. So, gear your baby boy shower ideas around Dad-To-Be. Yes ... The Dad Shower. Is Dad-To-Be in the U.S. Air Force, Navy or other military division? Maybe an airplane, or fighter jet themed baby shower. What's his favorite sport? What a great opportunity for a baby shower sports theme. Does Dad-To-Be like to sail? Well, maybe a sailboat baby shower is in order. Is he a race car fan? Build a baby shower around Nascar, or Hot Rods! Check out our Hot Rod! Bambino Gifts in the Unique Baby Gifts at the Sacco Bambino® Store for gift ideas. Is Dad-To-Be a Cowboy ... yes, you've got it ... a cowboy baby shower with all the western decor and of course, the music. Whichever theme you choose think about having both names (Mom and Dad-To-Be), and photos on the invitations. Here's one we personalized for a Fall Baby Shower. Find more on our Fall Baby Shower Invitations page. More ideas for Baby Boy Shower Invitations. Little boys love Bath Time Fun and rubber duckies. Have a Bath Time Shower and decorate with a rubber ducky theme. Ask your guests to bring gifts related to bathing supplies ... towels, wash cloths, soaps, lotions ... and of course, the rubber duckies. We have lots of decoration ideas on our Baby Boy Shower Decorations page. Scatter some scrapbook supplies for a Scrapbooking Baby Shower ... Themed paper, baby confetti and bright blue ribbon ... more supplies and ideas at Two Peas In A Bucket baby shower gallery. Browse thousands of scrapbooking products on sale NOW at Two Peas In A Bucket!